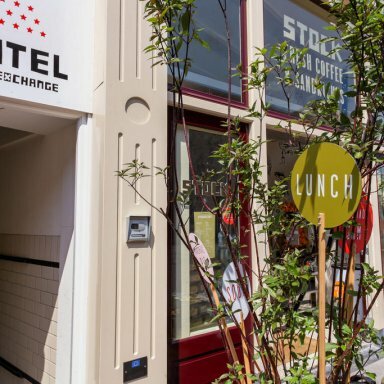 Hotel choice is very important when planning your city trip. Nothing feels as good as that ‘at home’ feeling after a long, tiring day visiting the sights. But Amsterdam is a big city. Where are the best areas to stay? 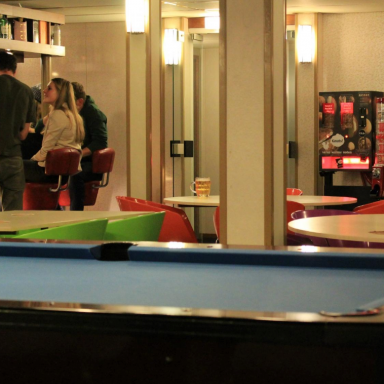 The perfect location of your Amsterdam hotel depends entirely on what you are planning to do. For more specific information about the different districts, I advise you to take a look at my page describing the various districts of Amsterdam. If you opt for a hotel in the city centre you will always be close to the more popular attractions. This is also the ideal location if you are planning to visit a good restaurant or friendly bar close by. Keep in mind that the centre of town is always busy. Yes, that means 24 hours a day. Every day. You might also find that the hygiene levels of some of the cheaper hotels leave something to be desired. 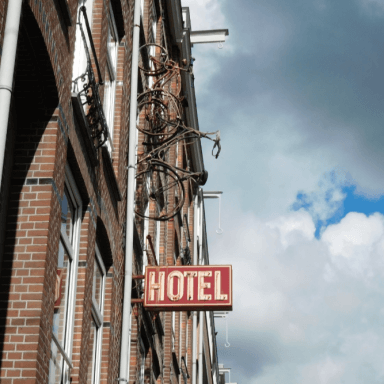 This is not the case for all hotels, but I do recommend that you carry out sufficient research by reading other visitors’ reviews, especially if you are thinking about staying at a cheap hotel in Amsterdam. You might prefer to opt for a hostel if you don’t want to spend too much money on your accommodation. The Jordaan (Amsterdam West) is always bustling and busy, but not to the levels you will find in the city centre. There are plenty of places to eat and you’ll be surrounded by locals. Amsterdam Oost (East) is a bit further away from the centre but is a lovely area. It isn’t packed with tourists and you will find the local inhabitants friendly and helpful. This neighbourhood has more than its fair share of trendy restaurants and cafes. 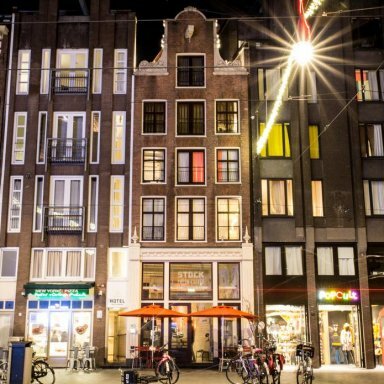 For a great night out every night, pick a hotel in Amsterdam Oost! In fact, each one of Amsterdam’s neighbourhoods has its own charm. Whether you plan to visit Amsterdam for the weekend, with friends, or for a romantic stay with your partner (https://amsterdamdiary.com/en / romantic-weekend-way-amsterdam /) my list of favourite hotels below might help you make the right decision! This hotel has been fully adapted to cater to the preferences and needs of the cycling enthusiast. The hotel managers are very environmentally-friendly and the building runs entirely on solar energy. The rooms are affordable and comfortable. Make sure you distinguish between rooms with private or shared bathroom when making a reservation. Moreover, you can reserve a bike when you make your booking. The hotel’s beautiful location in Amsterdam Oud Zuid makes this is the ideal means of transportation for exploring the city! It’s easy to find. Just look for the bikes on the wall! Okay, this isn’t a budget hotel, but it has definitely earned its place on my list! 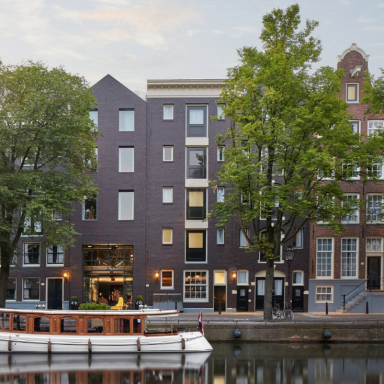 The Pulitzer hotel is made up of 25 interconnected historic canal houses dating from the 17th and 18th centuries, and all located on a beautiful canal in one of the most stunning areas of Amsterdam, the Jordaan. 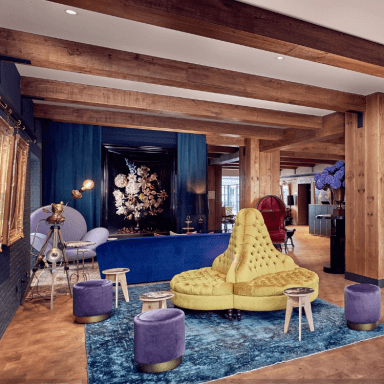 The hotel has been decorated with a sense of fun; modern design combined with some original canal house features – a very special effect indeed! The hotel is considered so special that part of the movie ‘Ocean’s 12’ was filmed here! The facade of the Pulitzer does not give any indication of the maze of buildings that hide behind it. The incredible interiors will take your breath away! 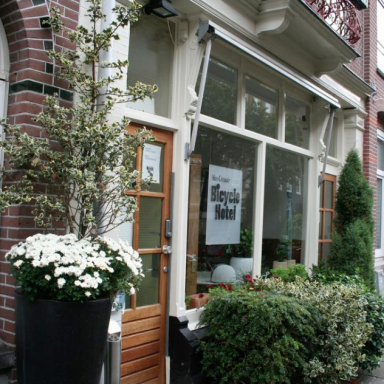 This hotel is located slap bang in the centre of Amsterdam, on one of its busiest streets – the Damrak. Everything in this hotel focuses on design and fashion and its rooms have been decorated by renowned interior designers. Due to its central location, this hotel is ideally suited for a stay which concentrates on the city centre. The hotel has different types of rooms, from budget to luxurious, so The Exchange can offer a suitable room for almost everyone. The facade of the Hotel the Exchange does not give any indication of the maze of buildings that hide behind it. Always wanted to spend the night on a boat, but a cruise is not your thing? 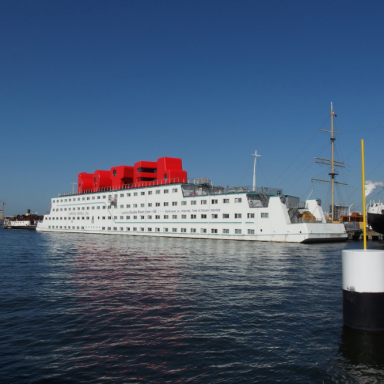 Then stay at Botel, the unique floating hotel in Amsterdam Noord! Botel has become a local concept. Previously situated next to central station, Botel has now moved close to the NDSM wharf in trendy Amsterdam Noord. You can catch the ferry to Centraal Station from here; ferries leave throughout the day and the journey takes approximately 10 minutes. Botel offers fairly small and simply furnished rooms, so is often overlooked by those seeking luxury. However, in my personal opinion, the unique location is a luxury in itself! There’s a great bar on board. 640 visitors rated Hotels average 5 stars out of 5.